1 Pricebaba user have written their experience with BlackBerry Priv. If you own BlackBerry Priv, please do leave your feedback too. 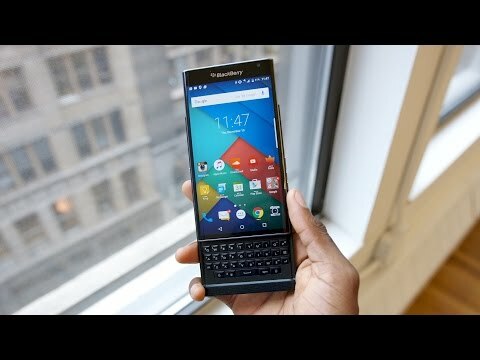 Blackberry Priv was the first Android smartphone from the company which was launched in January last year. With Blackberry Priv, the company claims to provide the best of both world with millions of apps on Google Play and the added security of Blackberry. The phone also gets the famous BlackBerry® Hub which lets you send and receive all your messages in one place. You don’t need to open mail app to send an email or open WhatsApp app to send a message. The Blackberry Prive features a slide-out keyboard along with the on-screen keyboard. It gives you a freedom to choose between either keyboards for speed and accuracy. It sports a 5.4-inch Quad HD dual-curved OLED display with a resolution of 2560 x 1440 pixels. The display also gets Corning Gorilla Glass 4 protection on top and a pixel density of 540 ppi. Under the hood, a hexa-core Qualcomm Snapdragon 808 chipset runs the show which is clubbed with 3GB of RAM. The phone also gets 32GB of inbuilt storage which is further expandable up to 2TB with a hot-swappable MicroSD expansion slot. It packs in a 3410mAh battery which is claimed to provide 22.5 hours of standby time on mixed use. Coming to the camera front, Priv gets an 18-megapixel rear camera with PDAF, dual-LED flash and OIS (Optical Image Stabilization). The phone also gets a 2-megapixel camera on board for capturing selfies. The rear camera offers 4K video recording whereas the front camera also records HD videos. As far as the connectivity features are concerned, the Blackberry Priv suppport 4G LTE (FDD-LTE Band 3), Wi-Fi 802.11 a/b/g/n/ac, Bluetooth 4.1, 3.5mm audio jack, micro-USB, NFC, and GPS/A-GPS.